Anyway, after the abbreviated version of that workout, I headed back home and got ready for a full day of work. I was a little upset at myself because I definitely did not make the healthiest choices at work today, but as I have said many times, I have gotten so much better about not beating myself up over little missteps and not using it as justification for slipping back into lengthier stretches of bad decisions. It’s Planters’ new NUTrition butter. 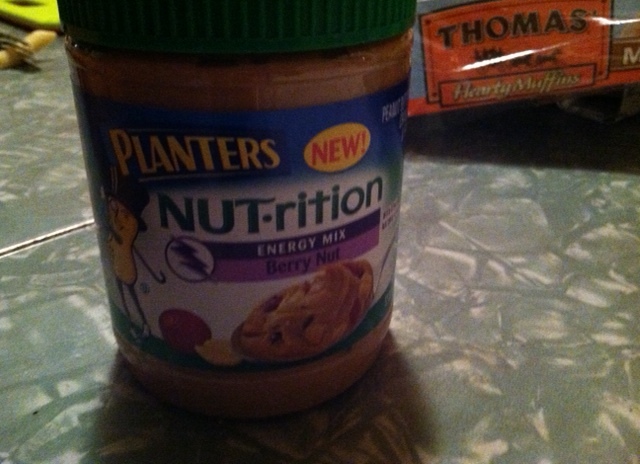 It’s basically crunchy peanut butter with berries mixed in. I ended up putting it on half of a Thomas’ English Muffin (the 100 calorie Multigrain muffins are a MAJOR staple of my daily diet. I eat at least on per day!) and eventually topped it off with my favorite combination of coconut and honey. It was a tasty little treat and the peanut butter was DELICIOUS. My favorite part about it was definitely the texture. I would love to use this as a dip for apples. I also bet it would be great in some recipes. My only beef is that the jar is significantly smaller than a typical jar of peanut butter and it is actually quite a bit more expensive. There are a bunch of different butters though, including a banana granola one (which I almost chose instead). They are all based off of the Planters’ NUTrition nut mixes and they all sound delightful. Tomorrow is Thursday! 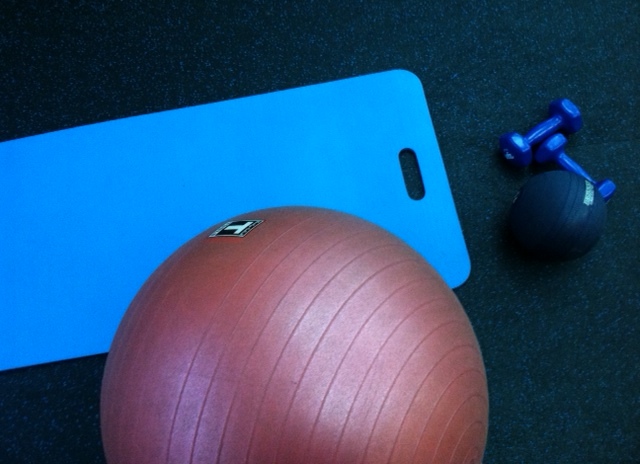 That means it’s BodyPump day! I am so psyched. Nothing like some good iron-pumping to get the day off to a good start. 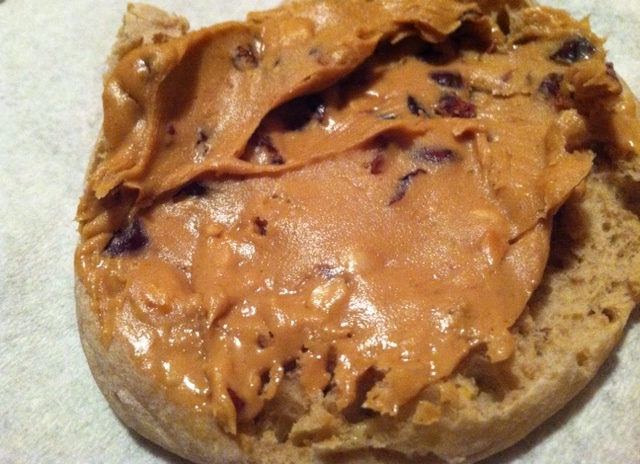 This entry was posted in Food Finds, Gym and tagged Ab Routines, Early Morning Exercise, gym, NUTrition, Planters Nuts, Running, Treadmill by 5ksandcoffeebeans. Bookmark the permalink.